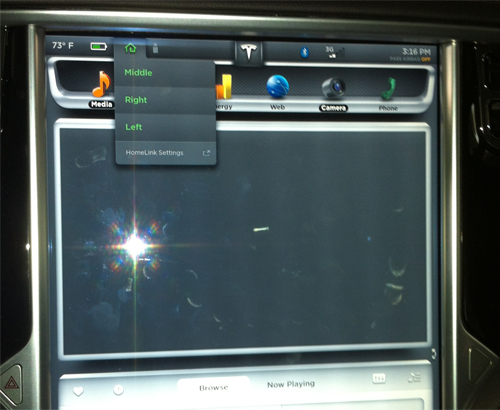 One of the minor annoyances about the Model S has been the charge port. 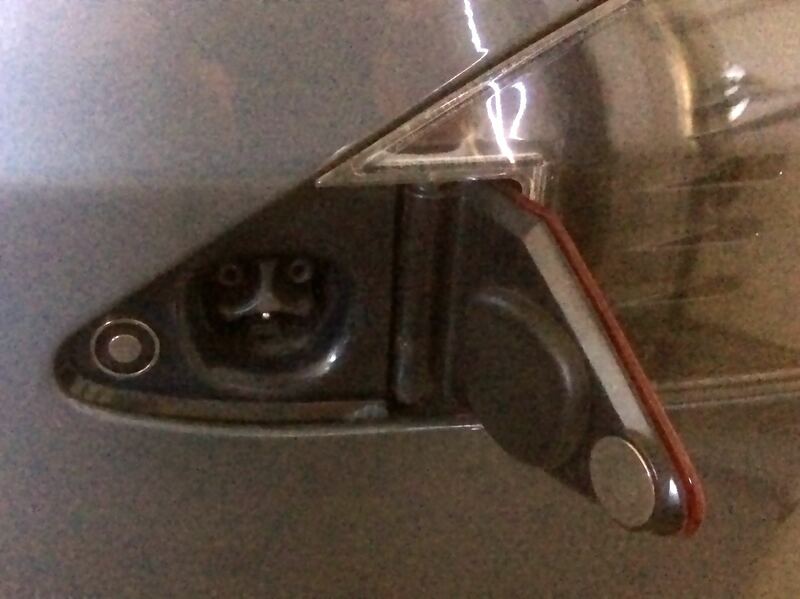 Like ICE cars with locked gasoline tanks, the Model S charge port is also locked. While the car is charging and locked, the car cannot be disconnected from the charge cable. In public places this feature is a good thing — preventing random folks from unplugging your car. Most public charging locations I have visited usually have empty stalls. The busier ones I have seen are at work places, but I doubt you would get very far ahead at a company if you disconnect a co-workers car while charging on a regular basis. Unfortunately this public charging model can cause frustration when charging at home. Often when arriving at home with groceries and other things strewn throughout the car, I open the charge port through the touch screen. This step also unlocks the charge port. But often by the time I get around to plugging the car in, I have already left the fob and the phone in the house and all I want to do is simply plug in the cable. But the charge port is open but is now locked. My solution I have been using for the last year has been a device I bought for $20 from lolachampcar from the Tesla forums. He made a few batches just for fun. I tied the device to my charge cable adaptor. I use a Roadster to Model S adapter cable between my vintage Roadster wall charger and the Model S. The adaptor cable is bright orange. This handy little device is there whenever I took too long to plug in the cable before the charge port self locked. I have gotten into the habit of first plugging the car in, but I do not always remember. Fortunately with 6.1, I now have a total of four ways to open and unlock my charge port! Use the on screen menu while sitting in the car while the car is on. With version 6.1, hold the trunk button down on the fob until the charge port door opens. Be careful not to accidentally open the trunk if you do not have enough clearance. Use the Tesla app to open the charge door. Use my handy door opener on the garage floor. Add more time to the unlock state. Differentiate the unlock state for the condition of whether or not the car is plugged in. When the car is not plugged in, the unlocked state could be much longer. 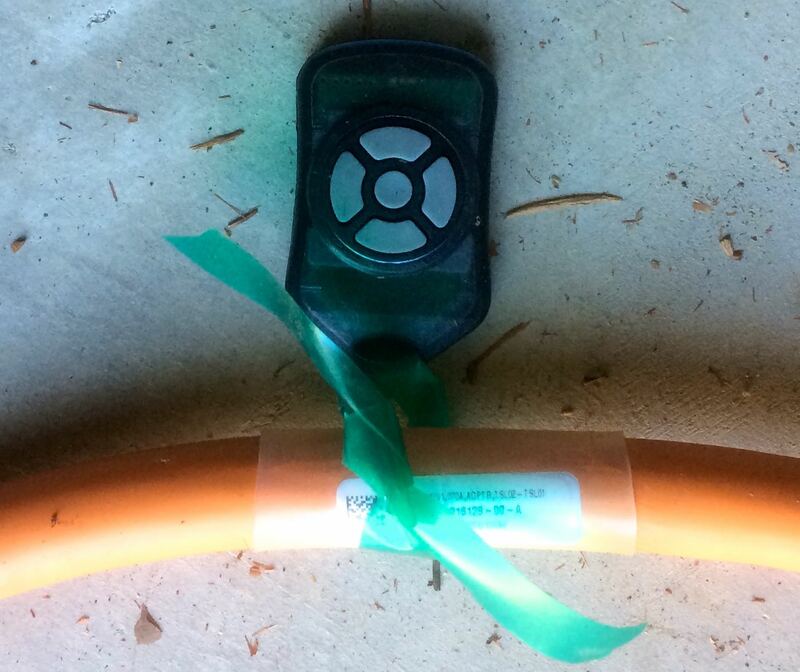 Use GPS information to know when the car is home and extend the unlocked state when at home. Allow a user configurable time. I do understand why the charge port should lock when the car is plugged in. I don’t know why the charge port should be locked when the car is not plugged in. When the charge port is unlocked the light is on, so there is a small amount of drain for the LED lights. But I would be happy to sacrifice this electricity drain for a 15 minute unlocked state while at home. I would love to hear from you in the comments section if you know a reason other than a small energy drain why the charge port needs to lock so quickly when unplugged. One wonderful thing about the Model S is that we regularly get software updates. A couple of weeks ago, my car was loaded with version 6.0. The three more interesting features for me are the calendar app (in a Beta form), keyless starting and traffic based navigation. The release also includes commute advice, which is of no interest to me as I do not work, the ability to name your car, some power management options, and location based air suspension. Many of these software features can bring up concerns about privacy. In the case of the calendar and navigation features, a third party has access to where and when you are in certain locations. I don’t have a particular personal concern about this and I trust Tesla a lot more than other businesses, but I am concerned with the level of government spying on individuals in the U.S.
One of the new features include linking to your calendar app on your phone. I took a few times to get the link to work as you have to configure your phone in several different places. I was having trouble with my iphone 5s at the time. The phone could not update an app, played a random piece of music on its own and even called one of my contacts by itself! Thankfully, the iphone was still under warranty and the flaky intermittent problem reappeared at the Apple Store! And my difficulty with the calendar linking has not reappeared with my “new” iPhone, which I hope to keep for many years as I do not want a larger phone. The calendar app, which is a Beta feature, is a bit underwhelming as it simply shows you items on your calendar for today and tomorrow. I’m not a sales person so I don’t have a lot of different items on my schedule. In general, I have wanted a way to be able to tell the car to “drive to this particular location” by name: a restaurant or someone’s house. Currently you have to say “navigate” to a particular address. This new calendar feature allows you to navigate to an address that you put in your calendar. I would love a much more general feature where it navigates to an address in your contact list, or a location on the web. I make very cryptic calendar entries just to be expeditious and almost never add a location to any appointments, but I am starting to include the addresses for this linking feature. I have had other people in the car comment that their vehicle has more sophisticated links to their contact list. The remote starting / keyless driving feature is an interesting feature. 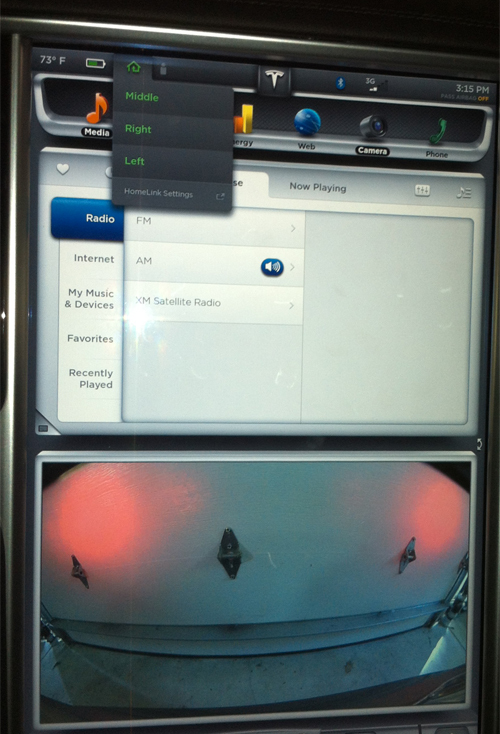 Using your smartphone and the Tesla app you can start the car. Once you hit the “start” button on the app, you must enter your password, and then you are given two minutes to have your foot on the brake pedal. Because this feature requires both a smartphone and either internet connectivity or a cell phone signal, I don’t think this feature is truly keyless. A true keyless feature would allow me to use my fingerprint on the car to unlock the car and then drive away. To read text on my smartphone, I need a pair of reading glasses, so typing in any reasonably secure password requires yet another physical object. 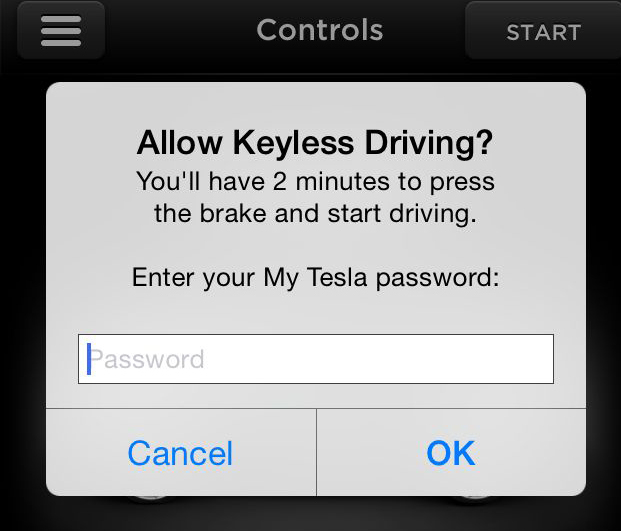 And I use a secure password manager for all of my passwords, so finding the password for the Tesla app is another step. I hope that Tesla can use the fingerprint check on the iPhone instead of a password mechanism. I live and frequent somewhat rural locations. My home for example has weak cellular service and I still maintain a landline. I would not feel comfortable depending upon a connection between my car and the phone for the only way to drive my car. I suspect the intention of this feature is more of a backup to your key fob if it is lost or misplaced. I have driven a couple of times where I experimented with the traffic based navigation. A drive that can often be difficult is crossing through the west side of San Francisco. On this particular day I chose to use the most common route of 19th Avenue. Although 19th Avenue had a lot less traffic than normal, the navigation wanted to route me over a street. I chose just to continue on my way. Another day I had the reverse situation where there were two ways I could arrive at a particular restaurant that has a very tricky route from the freeway. I decided to follow the navigation instead of my normal route and hit a zone of red traffic for about a mile. In both these cases, the traffic navigation was not perfect. I think common sense and local knowledge will always be better than most automatic solutions. The location based air suspension will remember where you previously raised the car to go over an obstacle and perform it the next time you are in the same location. I only know of one particular location that I visit a few times a year where I do raise the suspension but this could be quite useful for someone with a home or work location that requires a higher suspension. My inner jokester also thinks this could be a feature for a great practical joke on someone. Imagine someone finding their car raising every time they hit a certain street or returning to their car from a particular location. 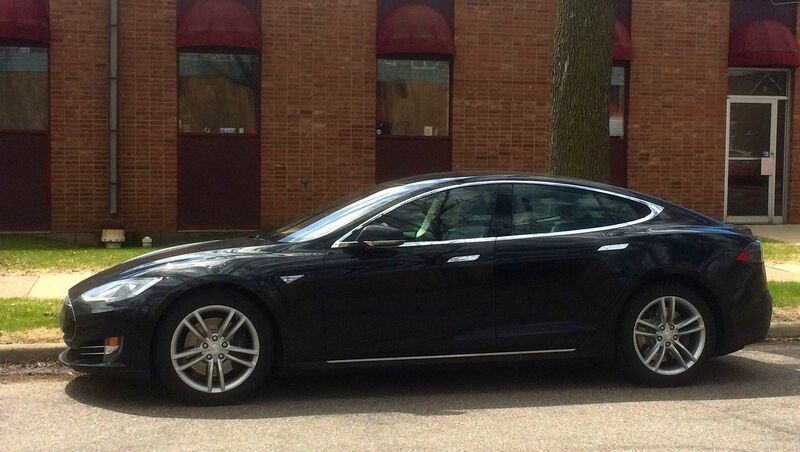 In the highest setting, the Model S looks visibly different. The driver may think their car was haunted. I wonder if you can teach the car to “unlearn” high suspension at a particular location. After leaving the Minneapolis Tesla Service Center, I continued on my journey to the east coast. The weather had improved from really cold and windy to a “California winter” of around 55 degrees with a few warm days in the low 60s. The journey was pleasant enough with a few interesting stops along the road. The supercharger route is almost exclusively on toll roads. I am not much of a fan of interstate freeways and I dislike toll roads even more. They are very monotonous with little if any scenery or places to explore. The rest stops remind me of airport lounges. A lot of busses stop at the Delaware Welcome Center and I realized even using an engine, these people were probably traveling in a more environmentally correct way than me. The toll roads also charge you more money if you pay cash, and in Illinois they constantly remind you of the fact. 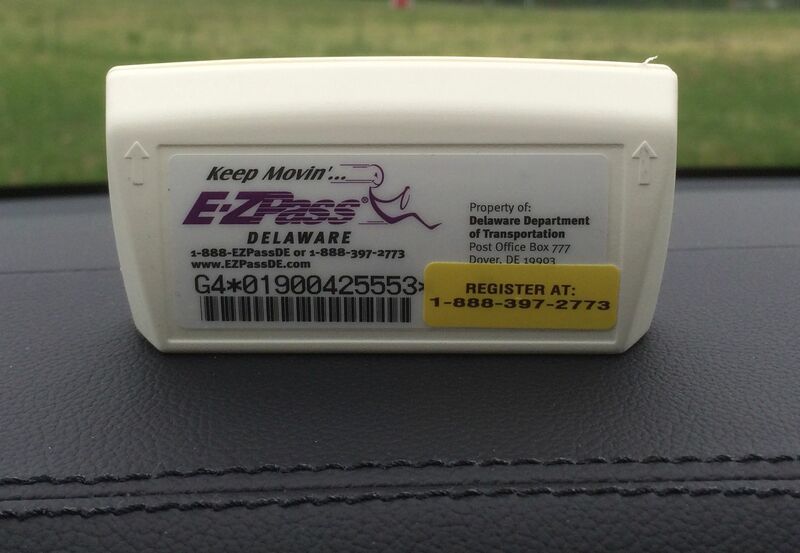 By the time I got to Delaware, I bought an EZPass as you can use it in many states. I paid twenty five dollars for the actual device but I think it was an expense well worth it. You give them a credit card to continue taking money out of your tolls, but you can close the account later and get any unspent credit refunded to you. I also noticed that once the weather warmed up to 70 degrees albeit drizzly, my kWh/mile on flat freeways was significantly lower than I average at home on my local roads with ups and downs. At home I average around 335 kWh/mile and I was easily seeing this drop in similar weather to around 300 kW/h or less with the flat roads at around the same speeds. I have been range charging on this journey off and on because of some long extended detours. I noticed that my range charge distance has actually increased to 250 miles from 247 miles. Although the difference between these numbers is quite small, I have also added over 5,000 miles to the car. The car made it to the Atlantic ocean and then onto New York city, where it got its first elevator ride in a garage. During my cross country road trip, I had a few items worked on my car at the Minneapolis service center. A subsequent blog post will discuss the items in for service and the service experience. This blog post will discuss my half day driving and review of the Model S with the 60kW battery. I was pleasantly surprised by the acceleration of the 60. The Tesla web page now states that the 60 has a 0-60 acceleration of 5.9 seconds, and the 85 has a 0-60 acceleration of 5.4 seconds. I would not chose a battery based upon acceleration. I had written earlier an extensive review of the P85+. With the high performance drive inverter, the P85+ or P85 can accelerate in 4.2 seconds in 0-60. I definitely felt a difference with the P inverter, but I did not care for the way the P85+ front lifted off the line. The primary determining factor between the different batteries is the range of the car. The 60 has an EPA range of 208 miles, and the 85 has an EPA range of 265 miles. 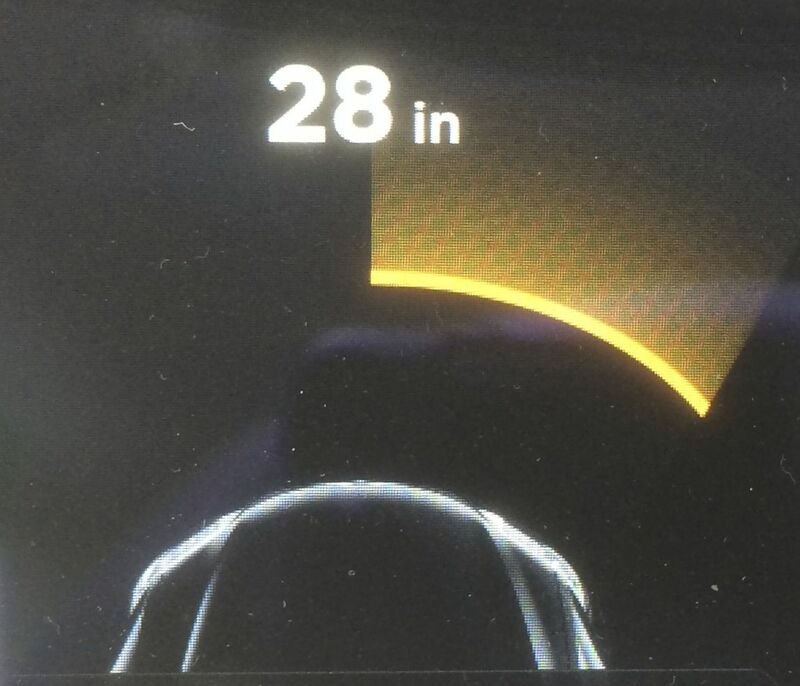 I constantly get asked how far my car can drive without recharging. The simple answer is in California probably around 200 miles with mostly freeway driving. But in near freezing weather with extensive gusts like my recent experience in the Black Hills, that range is closer to 150 miles. I personally would not want to purchase a 60 for the shorter range. I have wanderlust and like to travel. Within the San Francisco Bay Area, I regularly visit friends in other corners of the region. I also like to take road trips and the 85 makes them much more pleasant. But the 60 word work very well for someone who routinely travels shorter distances and does not take many road trips. The biggest difference between the loaner car and mine was the 19” wheels. I have been driving Tesla’s for five years now with sticky tires. I almost immediately missed the 21” wheels even on the Minneapolis freeways. They simply do not hug the road the same way. The loaner also had air suspension so it was a true 1:1 test. Minneapolis in early May 2014 was littered with potholes, so I completely understand the practicality of the 19” wheels in a cold weather climate. I live in an area with some fun curvy roads and enjoy the 21” wheels, but I do have a neighbor down the street with 19” wheels. 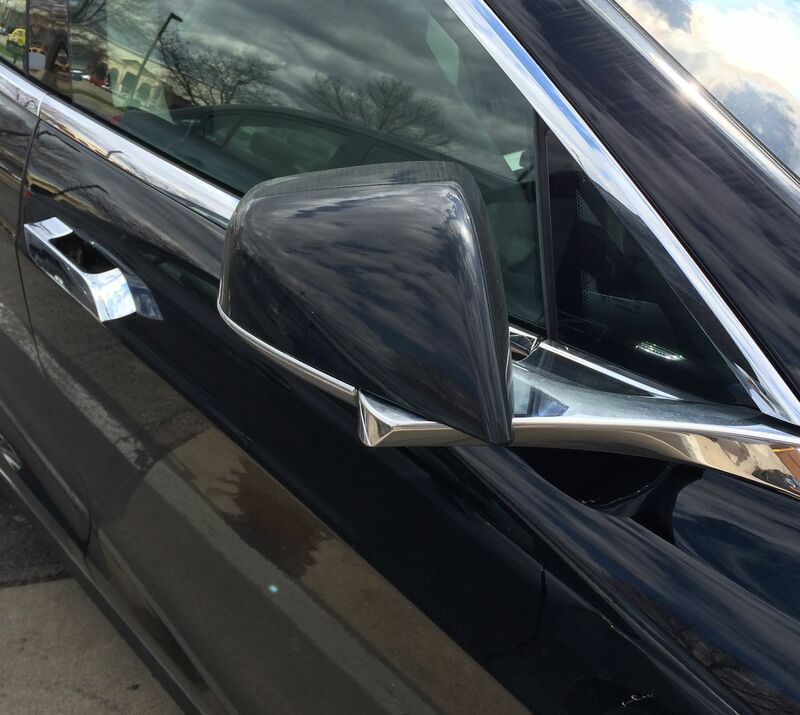 I realized the loaner had folding side mirrors when I parked the car and returned to find the mirrors folded in. There is a configuration setting if you want this to occur automatically or not. I would only get this feature if I needed to regularly park my car in tight spaces or lived in a very urban setting. The weather on this journey has been quite difficult. Lots of cold and windy days. When the sun popped out for a few minutes, I really wanted to enjoy a few moments of sun and missed the Panoramic Roof. The car also felt smaller with the standard roof. I was pleasantly surprised that the loaner also had the parking sensors. When approaching an object, they indicate in green that you are close. As you get closer, the color moves to yellow with the distance in inches in the US. For parking a car, I found these unnecessary. 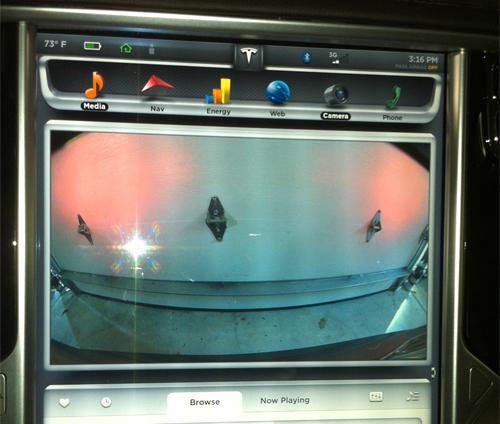 With the Model S you have a rear view camera to aid in backing up. The front distance is easy enough to judge. I could imagine again if I lived in a very urban area doing a lot of parallel parking this feature could be useful. I had hoped the parking sensors would help with curb rash. Even my newly spruced up 21” wheels have small amounts of fresh curb rash. The parking sensors will unfortunately not help with curb rash as the curbs are too low from the side. 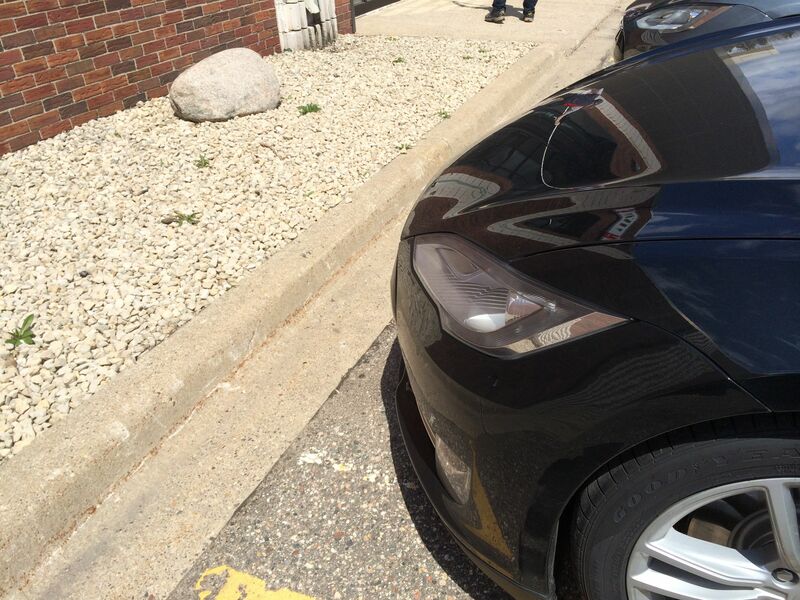 When I pulled back into the Minneapolis service center, I was surprised that the parking sensor did indicate the front curb ahead as shown in the photo on the left. In the end, I quickly concluded that my current configuration was the right purchase for me. Although the 60’s acceleration is still great, the battery range would be a hinderance. I also really enjoy driving with the 21” wheels despite pangs of guilt using so many tires. I am also glad I have the panoramic roof on my car. The parking sensors and folding side mirrors are nice features but I can only really recommend them for people who live in urban situations with challenging parking. I have experienced this minor problem for a while and it has been discussed on the Tesla forums here and here. I assumed that with the 4.5 software this problem would be fixed once and for all. But alas with 4.5 the problem is still there. Camera in Top Position Ready to Leave Garage. The issue is if you have your backup camera in the top half of your screen and then decide to open up your garage door, the homelink button turns the camera to grey and you can’t see anything. A few times the window has shifted, but at least for me most of the time, the camera goes grey instead. I have no idea what causes the window to shift and why it does not occur in all cases. The workaround is to always have the camera in the bottom half of the screen. But with different screens, things often get juggled around.